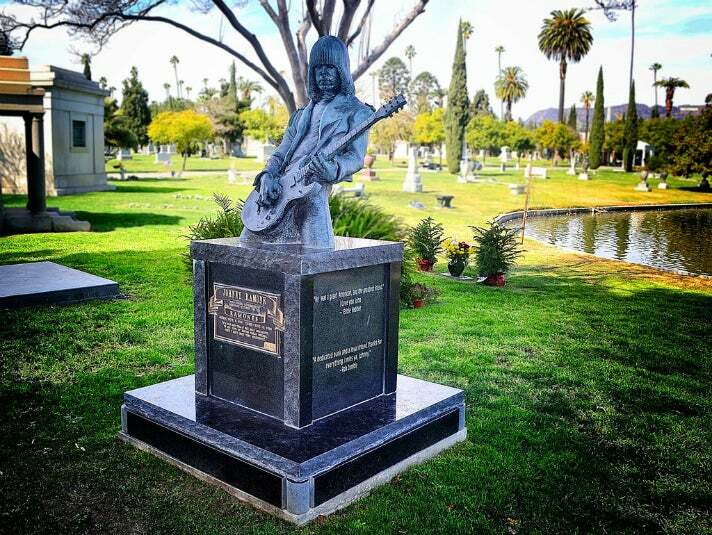 Even your permanent resting place can be a status symbol — and no cemetery proves that better than Hollywood Forever. Tons of celebs and semi-famous types are buried on its grounds, from old school movie stars and publishing titans to rockers and even a couple of gangsters. 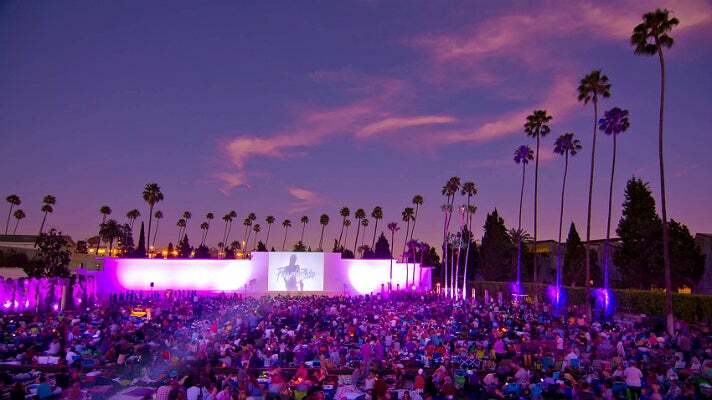 The cemetery is also a social hub, hosting one of the city's most popular outdoor movie screening series. Consider it a thoroughly modern case of adaptive reuse. 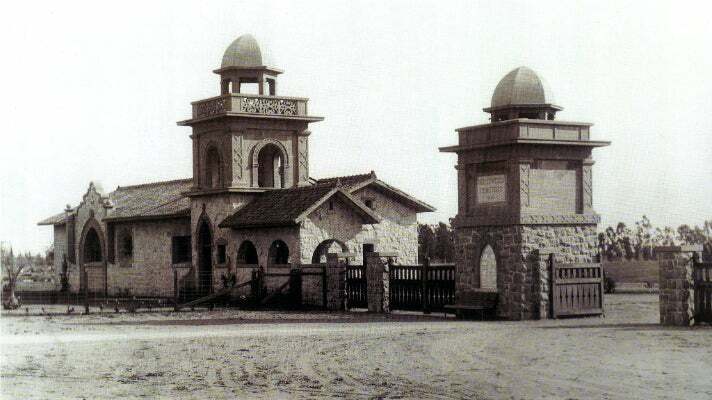 Founded as Hollywood Memorial Park Cemetery in 1899, when filmmaking wasn't yet an industry, it grew along with the movie business. In fact, the original owners — Isaac Lankershim and his son-in-law Isaac Van Nuys — sold swaths of their land to Paramount and RKO. No wonder so many studio heads are buried there. By the 1980s, it had fallen into disrepair, thanks to crooked owner Jules Roth, an oil swindler and convicted felon. The 1994 Northridge earthquake further damaged several crypts. When Roth died in 1998, it became apparent how many financial and physical problems the cemetery had. 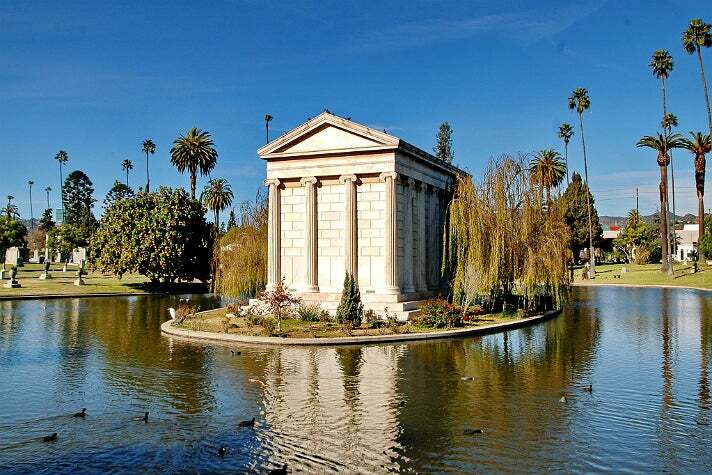 Hollywood Forever was added to the National Register of Historic Places in May 1999. 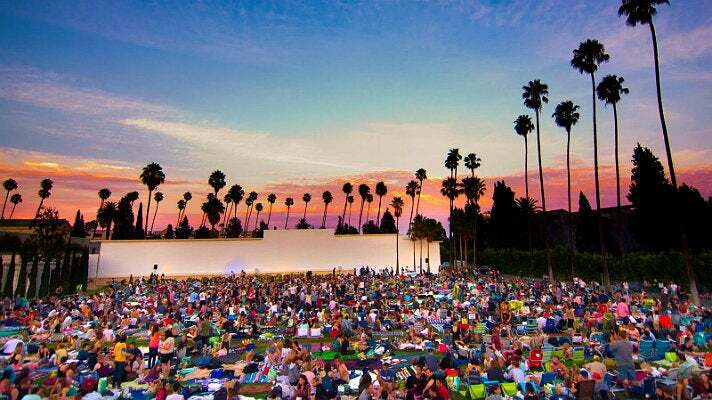 You might catch Wes Anderson's Moonrise Kingdom or the 1944 film noir Double Indemnity at Cinespia, the al fresco movie series. Screenings occur on the Fairbanks Lawn after sunset. Bring blankets, food, booze and low chairs as you and your friends picnic the night away. The screenings, which run from May through September on Saturday (and sometimes other) nights, are extremely popular. Buy your tickets in advance and arrive early! On the grounds sits the old Masonic Lodge, which now plays home to concerts, comedy shows and movie screenings. 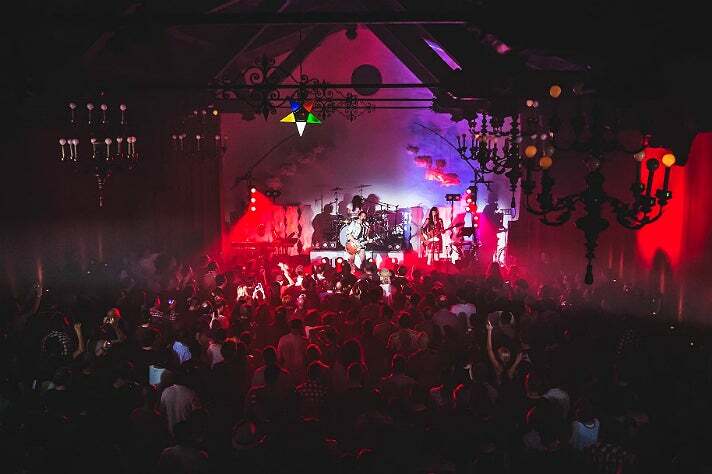 It's a great midsize venue that makes big-time acts like Chvrches and Garbage feel intimate while giving smaller acts a larger stage to play on. Americans have Halloween. Mexico has Dia de los Muertos (Day of the Dead), a tradition that dates back to the pre-Hispanic cultures of Mesoamerica. What better place to honor that tradition than in a cemetery? Hollywood Forever's annual Dia De Los Muertos celebration has become a day-long festival with gorgeous altars, decorated calaveras (skulls), bands, Aztec dancers, a ritual procession and more. There are hundreds of famous and formerly folks buried in Hollywood Forever. On its website, the cemetery offers an interactive map, conveniently divided into categories such as actors, musicians, etc., that details their locations. Here's a sampling. 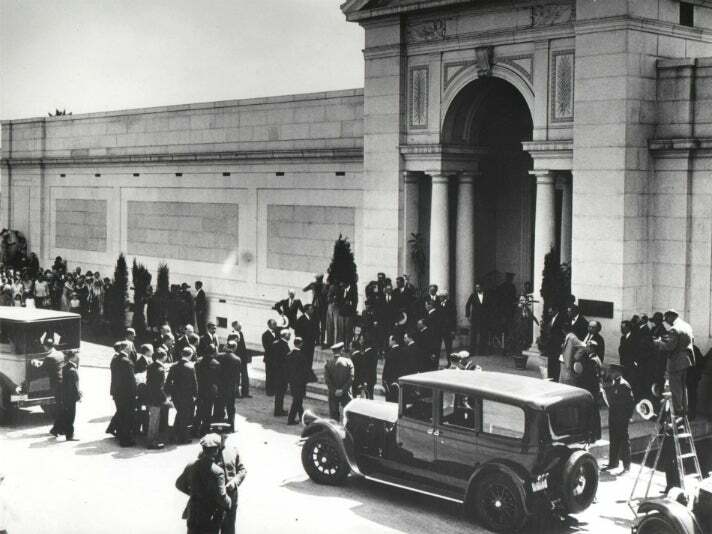 William Andrews Clark, Jr. - The philanthropist who founded the LA Phil and helped fund construction of the Hollywood Bowl is buried in the private family mausoleum that he built on the island in Sylvan Lake. His son and both of his wives are also entombed in the mausoleum. Yma Sumac - The Peruvian-born singer was famous for her five-octave vocal range and exotic image, both of which she showcased on several popular lounge music albums beginning in the 1950s.